Five Corners Square - this is an unusual showplace in St. Petersburg - its name is absent on the city maps, but especially here, at the intersection of Rural avenue, Rubinstein, Lomonosov and Razezhzhaya streets, you can feel the spirit of St. Petersburg. Famous people such as Fedor Dostoevsky, Nikolai Rimsky-Korsakov and Mikhail Glinka, Petr Tchaikovsky and Anton Rubinshtein lived next to this place. By this name, writer Sergei Dovlatov wanted to name one of his novels, while Vladimir Vysotsky wrote a song "In Leningrad, the city at Five Corners". St. Petersburgers find out this area because of triangular building with a turret - it is the profitable house of Ioff, built in 1913 by the design of the architect Alexander Lishnevsky in the style of neoclassicism. The turret on the house can be taken as the home of the star count. 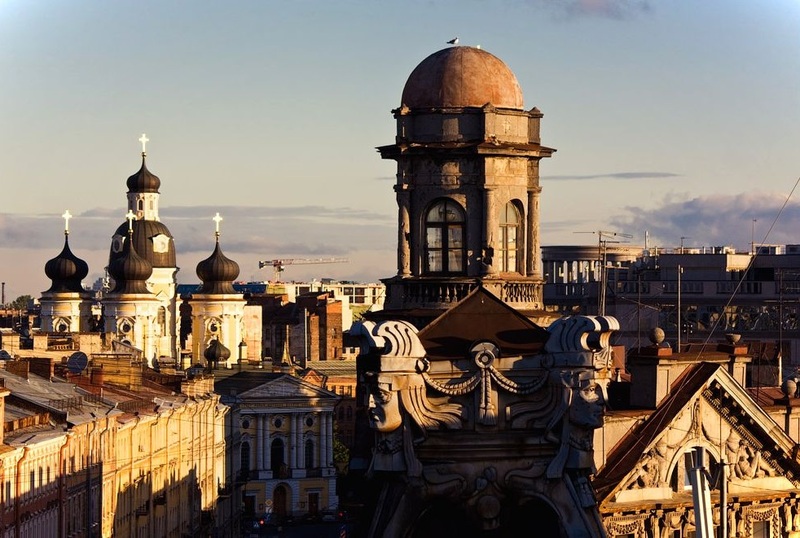 The house of Ioff is an architectural dominant of the crossroad and the iconic symbol of St. Petersburg. Originally on this place there was a three-storey mansion of merchants of the first guild of Alexander and Alexei Andreyevich Lapin. Part of the premises of Lapin was rent to the boy's boarding house. In this boarding house, the seventeen-year-old Nikolai Nekrasov taught arithmetic and spelling. It was a difficult period of a writer's life when he was in need, remaining without the material support of his parents, and he constantly had to look for sources of earnings. Later Nekrasov had a fancy for literature, began to write vaudeville for the Alexandrian theater. In two of them - "Fedya and Volodya" and "A generous act" Nekrasov described his life at the Lapin House. In 1913, the House of Lapin was bought by a merchant of the second guild, Schneier Zalman Ioff, who had a jewelry salon in the house №6 on the Country Ave, where he held out auctions. In 1913-1914 Ioff built a new building in Lapin's house during one year. Ioff lived alone on the top floor, lower was an apartment of Banker Golant, chairman of the board of the Petrograd Mutual Credit Union, and wealthy tenants rented other six apartments. Beneath there were shops where fur and hats, shoes and corsets, notes and things for the road, wine and fruits were sold, and from the corner of the house was the car salon Shapiro. At one time in this house physicist Matvey Bronstein and his wife Lidia Korneevna Chukovskaya, the daughter of the famous poet Kornei Chukovsky have lived. Matvei Bronstein's works on quantum theory are still relevant. Besides books available only to the narrow specialists, the scientist became the author of popular publications as well, in which he was telling about physics accessible and fascinating. During the years of repression, Bronstein was arrested, and February 18, 1938, was shot. His wife Lydia Chukovskaya escaped due to the help of the friends. From the side of Zagorodny Avenue there is a memorial plaque on the building with the words that there was an outstanding married couple in this house - the physicist Matvey Petrovich Bronshtein and Lidia Korneevna Chukovskaya. From the side of Trinity Street on the second floor of the same building in 1915 a cinema was built for 300 spectator seats. The house of V.P. Kapnist was built in the 1790s in the style of classicism (this style is characterized by more rigorous rational forms). The writer, poet and translator Vasily Vasilyevich Kapnist was a representative of the famous Russian aristocratic and graphic genus of Kapnist. Vasily Kapnist was a friend with Derzhavin and was a senior contemporary of Pushkin. In his time Kapnist enjoyed respect in literary circles, but, unfortunately, now, undeservedly forgotten. On the house №18 on the Rural avenue above the windows of the ground floor there is a memorial plaque with the words "In this house in 1790-1793 years the poet lived a playwright translator V.V. Kapnist". At present time, the Carpist House has a hotel and restaurants.In the opinion of literary critics, the heroine of the novel "Idiot" Nastasia Filippovna lived here. The house on the corner of Chernyshev and Zagorodny prospect number 13/15 is known for the fact that in 1800 it was located in the Commercial School - a trade school for merchant children. Initially, the school was founded by famous patron Prokofim Demidov in 1772 at the Moscow Educational House, where orphans were studying, and then, at the initiative of Empress Maria Feodorovna, was transferred to St. Petersburg. In the city on the Neva, it existed until the end of the XIX century, after which it became privately owned, became a residential building and rich people settled there. In Velikiy Novgorod, this intersection is located at the intersection of the streets Bolshaya St. Petersburg, Predtechenskaya (old Nekrasova) and Kozmodemyanskaya (old Decembrists). In Nizhny Novgorod, Five Corners Square is the crossing of the streets of Maxim Gorky and Vorovsky, Ilyinsky and Arzamas. 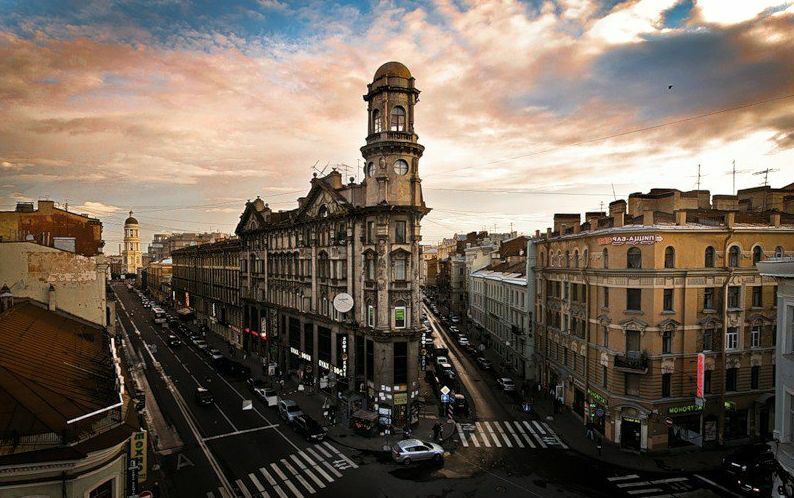 In Kharkov, Five Corners Square is at the intersection of the streets of Girshman, Artyom and Chernyshevsky. In Murmansk, this intersection is located in the center of the city, not far from the railway station, in the place where the Arctic Hotel is located. 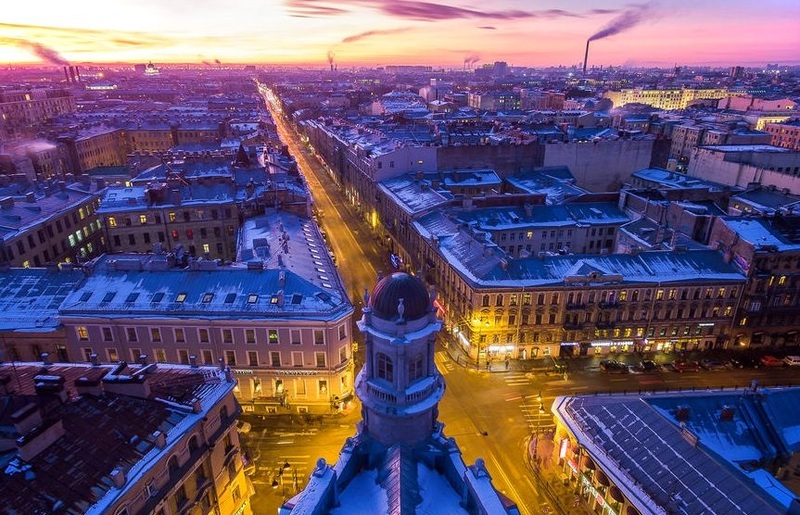 There is no doubt that Five Corners Square in St. Petersburg – is the most popular of them - its history is associated with the names of famous people, this place is permeated with the history of Russia and arouses the interest to numerous tourists.